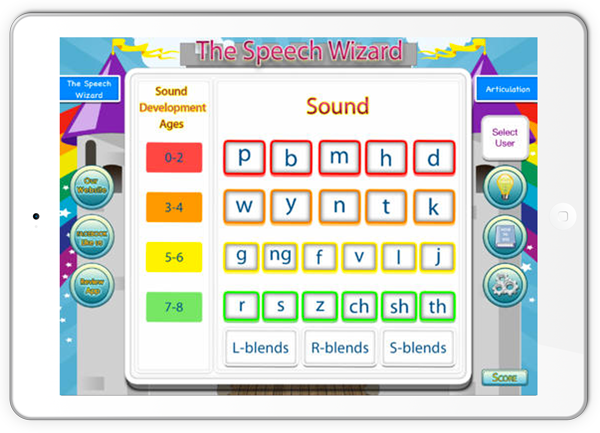 Children are responding exceptionally well to our latest app, “Sounds With The Speech Wizard”. Parents, therapists, and teachers have shared that they have great improvement in their child’s ability to listen better with using Sounds With The Speech Wizard App. Why the success or what’s the secret? It has kids practice listening in a fun way so they don’t feel like it is work or practice. Plus, we spent extensive time testing on children at our private practice to know it works. The users are responding so nicely to how it works which is simply listening to a variety of sounds and then having to match the picture of the sound they just heard. It takes good listening skills but also requires the user to control impulsivity by listening for the sound, scan the pictures, and then tap on the correct picture of the sound they just heard. This is our warm-up before most of our speech therapy sessions and it sounds like many other therapists too. It is gaining lots of attention with having good results. Besides, what parent doesn’t want to improve their child’s listening skills? It is getting done with Sounds With The Speech Wizard worldwide. Here is a link for you to add this app to your iOS device for just $6.99. Enjoy and cheers to improved listening worldwide! 10 Frequently Asked Questions…..and very honest answers to them!